We calculated that virtually every smallholder farmer in Haiti needed three things in order to increase yields and make more money farming—seed, tools and training. Smallholder farmers needed better quality seed, but couldn’t afford it. They needed good hand tools, but these were expensive. Finally, they needed agricultural training to improve their farming techniques, but this was next to impossible to find. Man must work with his fellows. Everyone should have some trade, or art or profession, be he rich or poor, and with this he must serve humanity. This service is acceptable as the highest form of worship. – Abdu’l-Baha, Abdu’l-Baha in London, p. 93. Timberland signed on as our corporate sponsor, and Timote and I were ready for business. Within months there were more than a thousand farmers signed up, and thousands more on a waiting list. We were cranking out tree nurseries as fast as we possibly could, but finally had to cap membership to ensure we could manage the program effectively. Eight years later the Smallholder Farmers Alliance now has 6,000 members on 3,000 farms, with husbands and wives farming together but recognized as separate members. We operate 30 tree nurseries in five different areas of the country. To date our farmer members have planted over six and a half million trees. The whole operation, including farms and nurseries, runs on organic principles. So what about the farmers? The change for Gustave and Rosemary, whom I introduced in the previous essay, was similar to other farmers. Their crop yields went up by around 40 percent and their income more than doubled. In their specific case, they could finally afford to put all their children in school, including three who were the first in their entire extended family ever to attend high school. 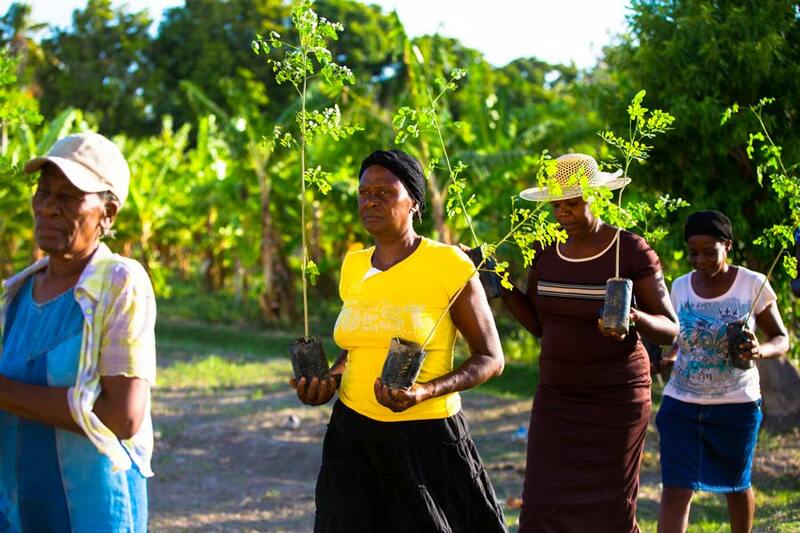 Trees planted by farmers have begun to change Haiti’s landscape. They’re planted on farms, in orchards, as living fences around fields and along roads. But the biggest impact has been trees used to reclaim abandoned land and reforest areas that will eventually all connect together to form the first green belt of its kind in Haiti. Tree currency had another impact we hadn’t anticipated. It triggered the emergence of what can best be described as farm community ecosystems. It started as farmers began proposing other things to be available using tree currency: adult literacy classes. Basic business training. A micro-credit bank with loans for women farmers. Leadership training for women farmers. A community seed bank. The farmers themselves, with just a bit of guidance and support, implemented all these services. About a year and a half ago, Timote and I realized we should connect the five separate farming communities in our program. They’d never met and we thought they could benefit by learning from each other. We also knew that they all needed some help in marketing their produce. This kind of collaboration at a national level is called a supply chain, and we were just starting to put ours together when two export opportunities changed everything. A U.S. company called Kuli Kuli asked if our smallholders could grow moringa trees and have women farmers process the protein-rich leaves into dry powder form. Kuli Kuli’s Moringa Green Energy shots are now on shelves at Whole Foods nationwide. Shortly after that, Timberland saw the opportunity to switch from being our sponsor to becoming a customer by buying organic cotton from our farmers. This August we began fields trials to test different cotton varieties. Timberland has committed to buying up to one-third of their annual global cotton purchase from us, once we’re growing enough and subject to price and quality. The Vans shoe company has also signaled their interest and we expect other companies to follow soon. The 5-year plan for our new smallholder supply chain, designed to take advantage of these moringa and cotton export opportunities, involves gradually expanding our farmer network from 6,000 to 34,000 members. We’ll be breaking new ground by using a blend of philanthropic grants and commercial investment to run the operation during those five years. After that our smallholder supply chain will become a pure business with no more grants. 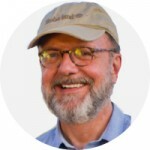 It will still plant tree currency, and still deliver both farm and community services—but all running from revenue, because ultimately the definition of sustainable has to include the word profitable. Now in Haiti we are not just farming, we are impact farming. We don’t just plant trees, we plant tree currency. We are not just engaged in reforestation, we are pioneers in sustainable reforestation. We will soon be ready to begin exporting our tree currency and smallholder supply chain model beyond our borders. Imagine some of the poorest and most marginalized people around the world transforming from a problem into the solution. Imagine using a blend of philanthropy and commerce to create profitable businesses that transform lives and communities. Imagine 500 million smallholder farms—and remember that’s two and a half billion people throughout Africa, Asia and South America—all contributing to global food security by doubling their crop yields. Imagine combating climate change by replanting a large portion of the 56 billion trees the planet loses every year at current rates of deforestation. Imagine supporting women farmers to have equal status and access to resources, as a significant contribution to empowering women everywhere. The smallholder impact farming revolution that I envision will be principally financed from two sources: trees and you. Farmers will grow the trees. Your role has to do with the clothing you wear, the food you eat, the coffee you drink, the fragrance you apply—all supplied by choosing products grown in whole or in part by smallholder farmers. The good news? Before long a new generation of apps will help you make these conscience-driven, sustainable and Earth-friendly choices. O ye beloved of God! When the winds blow severely, rains fall fiercely, the lightning flashes, the thunder roars, the bolt descends and storms of trial become severe, grieve not; for after this storm, verily, the divine spring will arrive, the hills and fields will become verdant, the expanses of grain will joyfully wave, the earth will become covered with blossoms, the trees will be clothed with green garments and adorned with blossoms and fruits. Thus blessings become manifest in all countries. These favors are results of those storms and hurricanes. – Abdu’l-Baha, Baha’i World Faith, p. 395. Thank you for such wonderful, inspiring news. Wonderful work, wonderful article. Thank you! SO WONDRFUL!!! This is so inspiring!! !